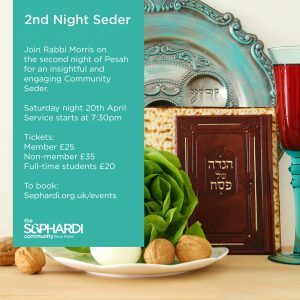 Join Rabbi Morris on the second night of Pesah for an insightful and engaging Community Seder. Each month gather for lunch and enjoy insights on the weekly Parashah. Followed by Minha in our historic synagogue. Thank you to our sponsors. Each month gather in the new Bevis Marks Synagogue Bet Midrash to study the Book of Joshua with Rabbi Morris. Over the centuries the S&P Sephardi community has benefited from the leadership of towering rabbinic figures. This series looks at these erudite individuals, the challenges they faced, and the impact they left on Anglo-Jewry’s Sephardim. The second term looks at Hahamim from the 19th century, and the third from the 20th century. Join Rabbi Morris and visit a time when the East End was home to Sephardic schools, poor houses, cemeteries, an orphanage, an elder care home, and almost a new synagogue when Bevis Marks Synagogue was nearly demolished in the 19th century. Learn about these places and the stories of the Sephardic East End during the 17th-21st century. Sushi Reception followed by the walk, must book in advance.